Morality books and dynastic histories contain a great number of exemplar women but very few heroines. The term yingxiong sounds quite male and not exactly Confucian. It was mostly used for warriors since the end of the Han dynasty and sometimes for rebels or martyrs. Warriors, ghosts and gods could in different ways be called yingxiong, but they could never become exemples for law abiding subjects of the empire. Exemplar women were chaste, diligent and totally devoted to their husbands and sons. 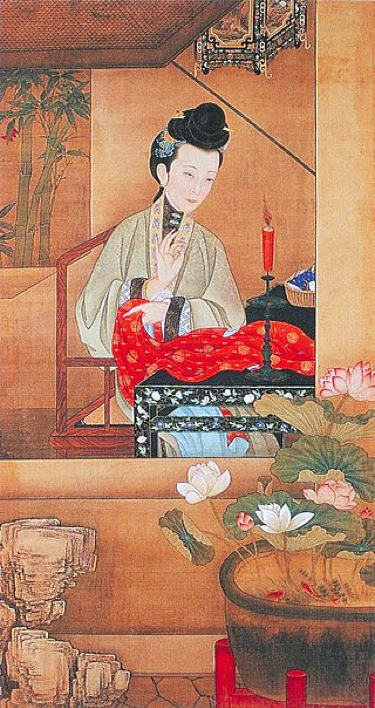 Mencius’s mother weaving all the day in order to bring up her virtuous son is often used as an exemple for women. Needle work was representative of their economical, aesthetic and political submission and/or agency. Mulan abandoning the loom for the sword was definitively an exception. Nevertheless, we find a great number of female warriors and heroines in the fictional world (novel, opera, movies) and in popular culture, and female heroism became an important topic at the end of the empire and all along the twentieth century. We can also find exemples of female warriors in the margins of the Chinese empire, where they were depicted as rebellious and anti-feminine. For me, analysing the emergence of a female heroism in reality and no more only in fiction is a way to apprehend the changes in the relationships between reality and fiction, and between the margins and the center during the long twentieth century. Professor Françoise Lauwaert is a Belgian sinologist and anthropologist at the l’Université Libre de Bruxelles and is a member of the Laboratoire d’Anthropologie des Mondes Contemporains and of EASt at the ULB. She has written on the Chinese family (especially through late-imperial court cases), legal anthropology, Chinese films and museums, Chinese literature and the Chinese writing system. She received her PhD in Far-Eastern Studies from the University of Paris VII (1987). She is the author of numerous articles and the following books : Recevoir, conserver, transmettre. L’adoption dans l’histoire de la famille chinoise. Aspects religieux, sociaux et juridiques (Mélanges chinois et bouddhiques vol. XXIV, 1991) ; Le Meurtre en famille. Parricide et infanticide en Chine à la fin de l’empire XVIIIe-XIXe siècles (Odile Jacob, 1999) ; and Puissance et pouvoirs de l’écriture chinoise (Académie royale de Belgique, 2015). She was also the curator of the exhibition Les trois rêves du mandarin at the Center of Arts of the ING, in collaboration with the Beijing Capital Museum and the Beijing Museum of Fine Arts (as part of the Festival Europalia-China 2008-2009), and editor of the exhibition catalogue.